Professor Hong Zhu is the executive director of the Department of Foreign Language Education at Tianjin University of Commerce. She is also a member of the Teaching and Education Committee of the University and a member of the editorial board of the University journal, Study on Higher Education. 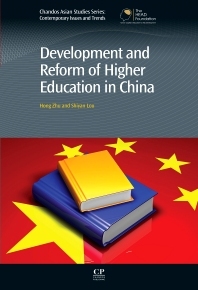 As a leading researcher in her field she has contributed chapters to several books, taken part in research projects including the ‘Research on UNESCO’s Strategy for the Development of Education’ sponsored by Tianjin Leading Group for Education Science Planning. Dr. Shiyan Lou is a lecturer at Tianjin University of Commerce. Her recent study focuses on education in China, including her doctoral dissertation. Several of her papers have been published in influential journals, such as Labour Economics Review, in the fields of education and economics. Dr. Lou has also participated in major research projects including the ‘Study on the Interaction between Human Capital and Economic Growth’ sponsored by National Natural Science Foundation of China.